When Can Babies Eat Cheerios, Puffs, & Other Foods Safely – Answered! Parents are often wondering, “When can babies eat cheerios?” Or, puffs, toast, cheese, watermelon, and banana. Learn when so you can feed your baby safely! 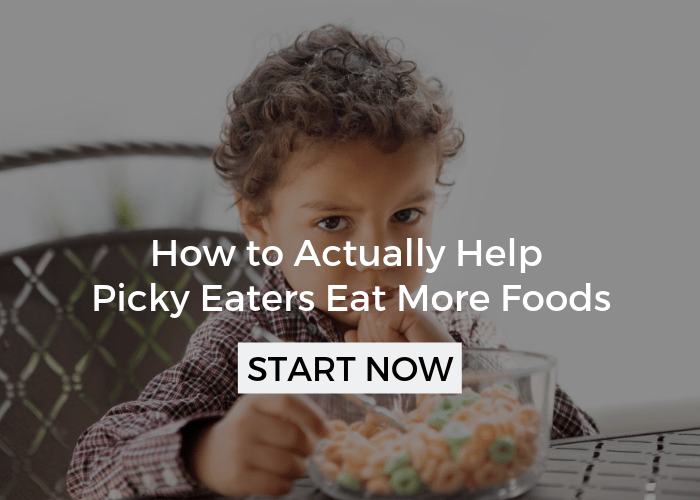 When I was a first-time mom, I was ecstatic when it was time to start feeding my son real food. But, since I’d fed a lot of other babies as a feeding therapist, I knew that there were some serious nerves around the corner. Even though my son was gobbling down smooth baby food, I wasn’t quite sure what he’d do the first time he had food that he actually had to chew before swallowing. He could gag (which isn’t as bad as it sounds, but terrifies us as parents. See baby gagging for more info)! Or worse, start to choke on it. Would I remember how to do the CPR training that I’d been certified to do correctly? I’m not trying to freak you out, I tend to think of the worst case scenario before I do anything that’s new. Fortunately, while my mommy brain was on overdrive, my occupational therapist brain knew that it would likely only have a negative effect on my son’s future eating if I just waited until I felt 100% comfortable to start giving him puffs, cheerios, or other foods that we tend to wonder if our babies can handle safely. 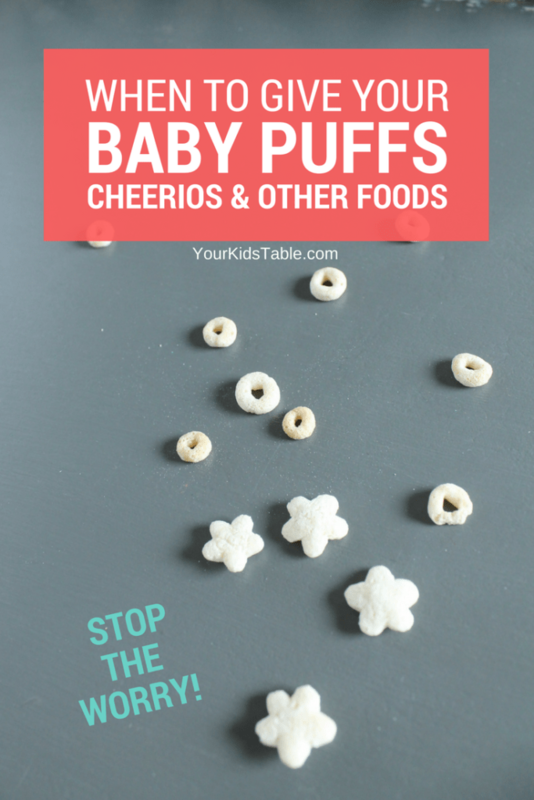 Of course, that doesn’t mean that there isn’t an ideal time to feed your baby cheerios or puffs. When Can Babies Eat Cheerios? I think cheerios are the quintessential finger food for baby, they were in large part the first and most common food that my generation was given as young babies and toddlers. And, while cheerios are still appropriate, there are a few things you’ve got to know first. As a pediatric OT, cheerios are NOT the first finger food I recommend that parents give their baby. While they are great for being picked up easily, they don’t dissolve quickly. A baby, ideally, should munch up and down (with or without teeth) to mash up the cheerio. It will eventually dissolve, but usually long after a baby has attempted to swallow it. This is why babies can eat cheerios sometime between 9-12 months. When exactly, all depends on what other finger and table foods your baby is already eating. Long before they have cheerios, I want to make sure babies can eat foods that dissolve quickly like graham crackers and puffs. I also want babies to be eating some soft foods well too. Occasional gagging is normal, but persistent gagging that gets in the way of your baby being able to eat is an indicator that they aren’t ready to eat cheerios yet. Can pick up the cheerios with a pincer grasp (that’s using their index finger and thumb together). 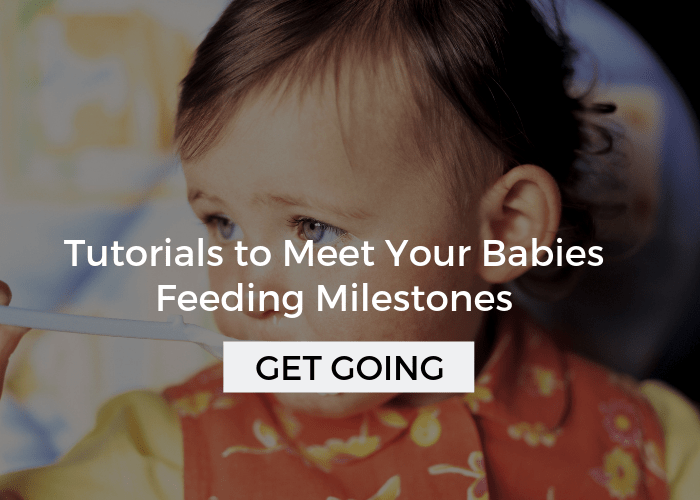 Head to how to teach your baby to self-feed to learn more. When Can Babies Eat Puffs? Puffs, and there are a wide number of brands that sell them now, are my preferred very first finger food for baby. For those of you following a Baby Led Weaning (BLW) approach, that will contradict what you’ve learned. You can read why I think so in Pros and Cons of BLW. I have given puffs to all three of my children as their very first finger food around 7-8 months old, but your child may not be ready until around 9 months old. If you’re skittish about starting your baby on puffs, it’s always a good idea to talk to your pediatrician first. One of the benefits of puffs, and why I love them for babies, is because they dissolve fast in saliva. That means if your baby gets a piece into their mouth and doesn’t know what to do, it will melt into a goo they can swallow with little effort. 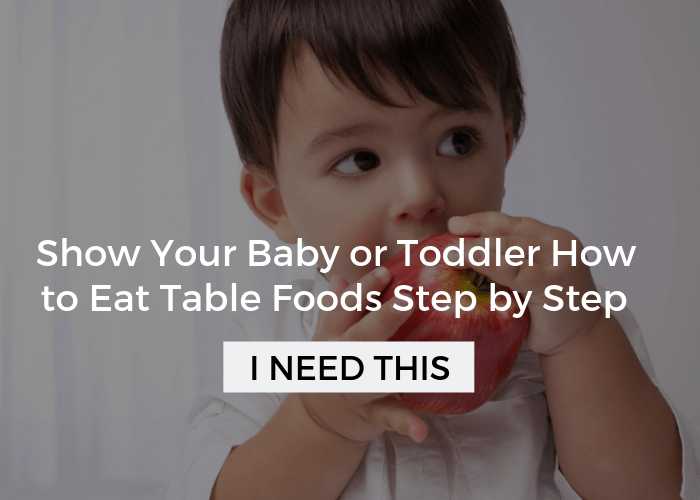 Want a whole guide on how to introduce your baby, step by step, to table foods? 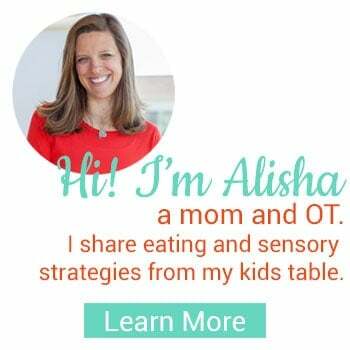 Head over to How to Introduce Table Foods to Babies and Toddlers. When Can Babies Eat Toast? Like cheerios, toast also requires some more chewing, which means your baby has to have some skills. Toast cut into squares or strips are great for babies that are managing puffs, graham crackers, and soft foods like cubed avocado well. This is usually around 9-12 months old. When you do give your baby toast for the first time, look for them to be chewing well with a clear up and down motion. When Can Babies Eat Grapes, Blueberries, and Cherry Tomatoes? Oh, the round foods that can be a serious choking hazard. 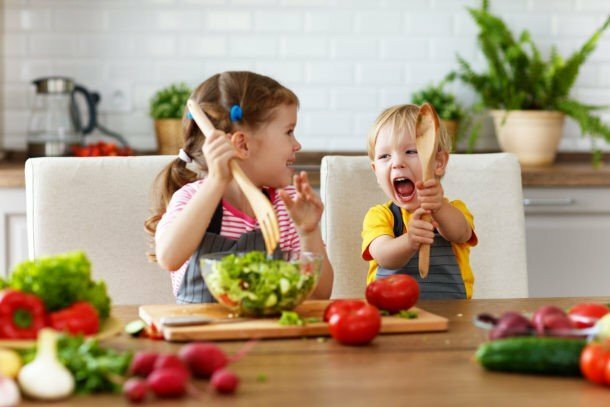 These foods may be scary, but when they are cut in half (blueberries) or quartered (grapes and cherry tomatoes) babies are able to eat them safely also around 9-12 months old. The skin on cherry tomatoes and grapes can be a little tougher, and some parents prefer to skin them. 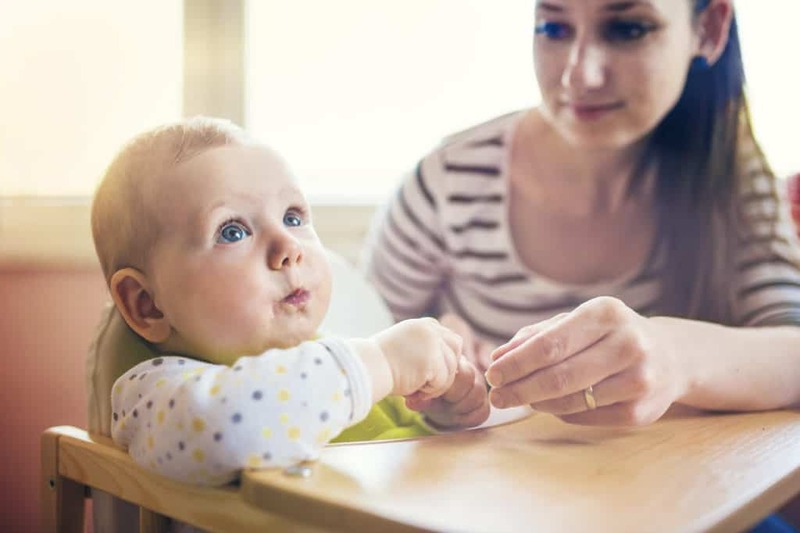 Your baby will likely be ready to handle these foods when they are eating a variety of different textures, but it may be hard for them to pick up, which may mean you’ll have to wait to a little longer. When Can Babies Eat Watermelon? 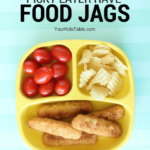 This is another one of my favorite first finger foods for baby, right after they’ve mastered those graham crackers and puffs. Cut the watermelon into small cubes and watch with delight as the juice runs down all over their adorable little chin. 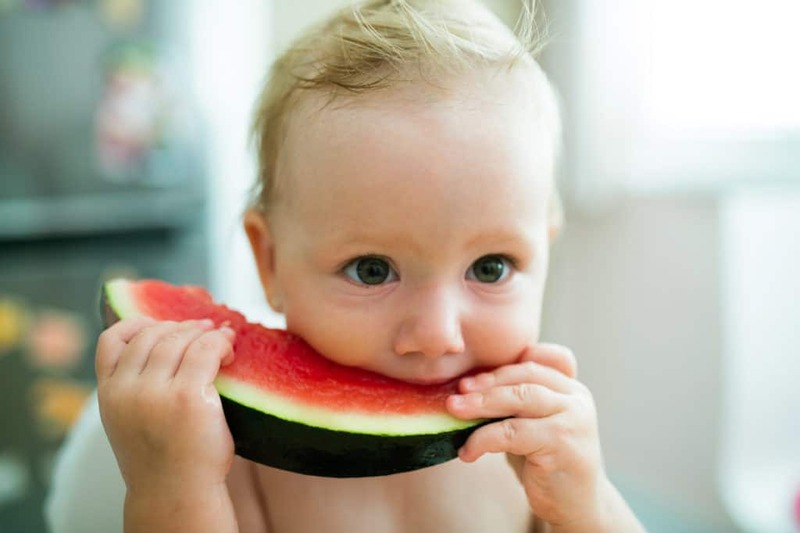 Babies can often start eating watermelon between 7-10 months old. When Can Babies Eat Banana? Once babies are eating watermelon well, they can often handle banana. Just keep a lookout that the pieces aren’t too big or that they aren’t showing too much food into their mouth at once because banana can clump together. Bananas are often thought of as a good choice for a first finger food because its soft and babies can chew it easily, but sometimes it’s too mushy for them to understand how to chew it. That’s another reason I like starting out with crunchy foods that melt first. Look for your baby to manage bananas around 7-10 months old. You may even want to try this healthy pumpkin banana bread recipe! When Can Babies Eat Cheese? Cheese is obviously dairy and it seems contradictory that babies can eat it when they aren’t allowed cow’s milk until age 1, but the protein structure is different so pediatrician’s give it the green light before 12 months old. Cheese that’s a bit softer, like from a brick of mild cheddar or provolone, is a great starting place if you’d like to introduce it. 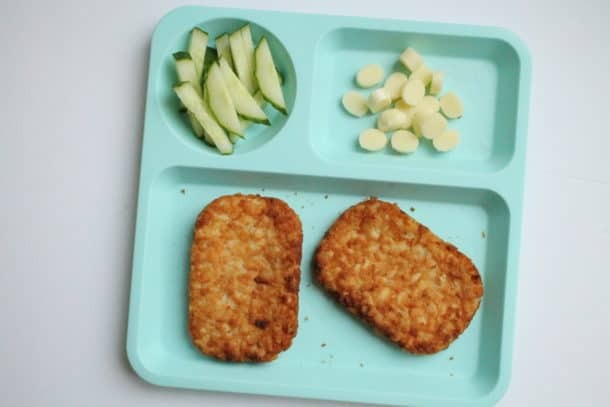 When your baby is eating the melt-able crackers, watermelon, and banana without frequent gagging and with a munching up and down, they are often ready to handle cheese that’s cut into cubes. This is usually around 8-10 months old. Knowing what other foods you can give your baby can seem daunting, which is why I have an awesome Mega List of First Table Foods for you, and as your baby is getting a little older a Baby and Toddler List of Meal Ideas. Not to mention that you can also snag up a handy printable with many of the ideas to stick on your fridge for quick reference! Get the Free Printable Here! Babies DO NOT need teeth to eat – Sure, if your 9-month-old were having a steak, some molars might come in handy, but babies were designed to use their powerful gums to plow through all the foods you found listed here and many more. Gagging is normal – Gagging and choking are two different things. Gagging happens when a food hits their gag reflex, when they weren’t expecting it to. Most of the time they recover the food and are able to swallow or spit it out. 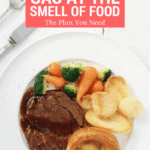 Also, some gagging occurs as a response to a texture, taste, or smell they don’t like. 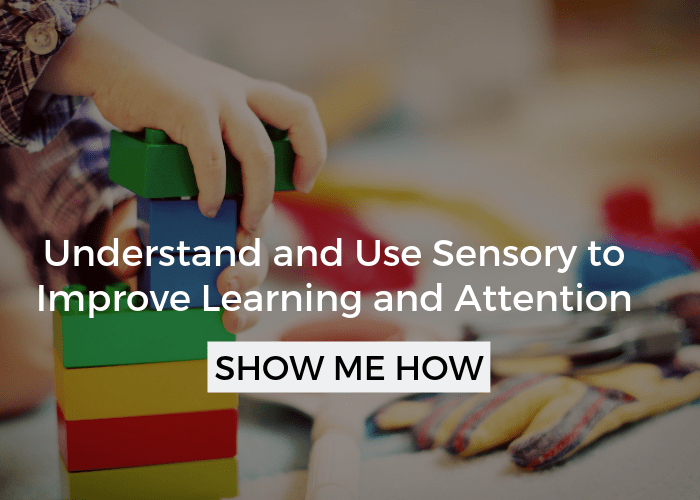 That has to do with sensory aversions to food. If they aren’t eating, just wait, they’ll grow out of it – Unfortunately, this is sometimes the advice given by professionals. As a feeding therapist, I’ve seen small issues snowball into something much bigger many times. If you have any doubts head to feeding therapy information on how to get some professional help. Also, check out these feeding milestones, to use a general guideline. Lastly, remember to be patient. You may feel edgy and anxious as you watch those first bites and tastes. Giving your baby finger foods is a transition that takes time. Some meals won’t go well, that’s okay. Now that you’ve got a great guideline on when to start your baby on different foods, make sure you grab your free printable with a huge list of table food ideas and meals that are specifically designed for babies and toddlers! Get it here. You’ve got to admit this is some important stuff. Pin this on your baby or parenting board so you can reference it later! My son just turned 11 months old. He eats a number of table foods like scrambled eggs, cottage cheese, banana, avocado, whole wheat waffles, etc.. However, many times he will gag and throw up (most often on puffs that get stuck in the back of his throat). When you mention concerns about a child who gags often, what do you consider often? My pediatrician said it’s normal and I shouldn’t be concerned, but I am. If he has thrown up from gagging more than 2 times, I’d think there was something going on that he needed some more help with. If he’s just gagging once a day or 4-5 times a week, I’d also think the same. You can head to how to transition to table foods for some specific tips and a free printable to help! Thank you so much for all this helpful information! I have a question about toast. After reading this, I double checked the ingredients in the wheat bread and other breads (and graham crackers) we typically buy, and they all list honey as an ingredient. I can’t find a definitive answer online about whether honey in commercial baked goods is safe for babies under age 1. Is the toxin definitely killed off in store bought baked goods? Good question, that is my understanding and I used them, but I’d check with your doctor. Mine told me they were safe if baked. Excellent articles…thank you..i search everywhere for information to help me with this issue. Yours is the first to give me some good ideas and Hope! I’m so happy you found your way here and that the information was helpful! I’m curious your thoughts on baby led weaning? Just wanted to say thank you for all of this helpful information. I appreciate this resource! Thanks Marie, I’m so glad it was helpful! While this doesn’t apply to eating for babies, I would like to know at what age is it safe for a toddler to eat popcorn? I have heard several different answers and feel like popcorn is the new hot dog in terms of choking hazards. Thanks!